After a week that started fairly mild, the temperatures have now gotten much colder. I was excited to get back outside for a run. Anticipating the chill, I wore my Layer 8 half zip that does a nice job wicking sweat and keeping me warm. 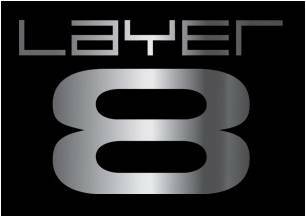 According to the manufacturer's website, Layer 8 is a market brand. This (I think) means it fits between or below premium and private label brands. I only see it at clearance stores like Marshalls and TJ Max, never in sporting goods or running stores. When I see it, Layer 8 gear is typically priced 50% lower than "name" brands, for what appears to be equivalent clothing. I've had good luck with the compression shorts and the half zip I own. Except for a few obvious high performers, like my Craft running top and (though I hate to admit it) some Nike shirts and pants I own, I see little difference in performance between most lower and medium priced technical gear. This morning's run was surprisingly good considering I'd woken up with a sore throat and felt tired as I prepared to run outside. My new Black Diamond headlamp pulled the same "won't light" trick that my Petzl did, which ultimately prompted its replacement. Re-seating the batteries solved it, as usual. It was in the high 20's when I stepped out and it took me a few minutes to warm up. Once past that point, I picked up the pace and ran the last mile much faster than the first. I'm not feeling great right now, but I plan to get some needed rest overnight. Hopefully that will set me up for a good weekend of cold weather running.